BMB Seniors: RSVP for the BMB Senior Celebration! Join us on May 11th in the Berkshire DC directly following CNS Commencement. Seniors receive three free entries (for the senior and two guests), and additional entries can be purchased for $10 a piece. Payments can be made at the door or in 912 LGRT weekdays between 9am-2pm. Dong Wang and Li-Jun Ma were recognized for their research at the 17th International Congress of the International Society for Molecular Plant-Microbe Interactions in Portland, Oregon. This meeting highlights research areas including the microbiome, tritrophic interactions, RNA-mediated interactions, systems biology, resistance mechanisms, mutualism and microbial virulence functions. Read More. 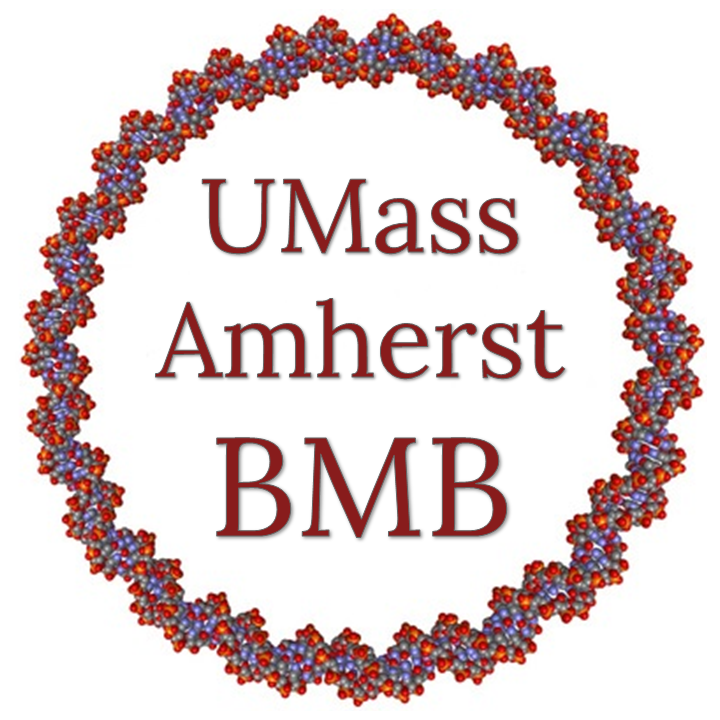 A team of four University of Massachusetts Amherst researchers are the Armstrong Fund for Science winners for 2016. This winning team consists of faculty from the departments of biochemistry and molecular biology and microbiology, including Li-Jun Ma, a fungal biologist recently named as a Burroughs Wellcome Fund investigator in the pathogenesis of infectious disease, Sergey Savinov, a chemist, and two microbiologists, Michele Klingbeil and Yasu Morita. Read more. The American Academy of Arts and Sciences announced the election of 213 new members, including biological chemist Lila Gierasch, Distinguished Professor at the University of Massachusetts Amherst, along with some of the world’s most accomplished scholars, scientists, writers, artists and civic, business and philanthropic leaders. Read more. A team of molecular biologists led by Dong Wang at UMass Amherst, working with the alfalfa-clover Medicago truncatula, has found how a gene in the host plant encodes a protein that recognizes the cell membrane surrounding the symbiotic bacteria, then directs other proteins to harvest the nutrients. Details appear online in the January edition of Nature Plants. As Wang explains, plants often recruit microbes to help them satisfy their nutritional needs, offering the products of photosynthesis as a reward. A process used by most land plants depends on asymbiotic relationship with mycorrhizal fungi. These form structures known as arbuscules that help plants capture phosphorus, sulfur, nitrogen and other micronutrients from the soil. This method is akin to scavenging, Wang says, because the amount of nitrogen available in soil is quite limited. Read more. Prof. Li-Jun Ma has been awarded a $500,000 grant from the Burroughs Wellcome Fund to develop new antifungal therapies using the model fungus Fusarium oxysporum to combat the growing resistance to anti-fungal compounds, a growing problem in both clinical and agricultural settings. Read more. Profs. Alice Cheung and Hen-ming Wu report in the journal eLife that FERONIA receptor kinase, from the model plant Arabidopsis, is necessary throughout the growth of the plant, not only for reproduction. Read more. Prof. Dong Wang was awarded a National Institute of Food and Agriculture (NIFA) subcontract from Brigham Young University for $87,000 for the period 1/1/15 to 12/31/17 to conduct research on "A rhizobial peptidase that interferes with plant nitrogen acquisition". Prof. Lila Gierasch was awarded an Industry-Academic Collaborative Research Grant. This partners $25,000 in UMass President's Enhancement Funding with $40,000 from the biotech firm Schrödinger of Cambridge, MA, to support a postdoc to research the project "Designing Modulators of Hsp70 Molecular Chaperones as Potential Therapeutics Against Cancer and Neurodegenerative Diseases".